Bing Crosby and Josephine ride a bike. 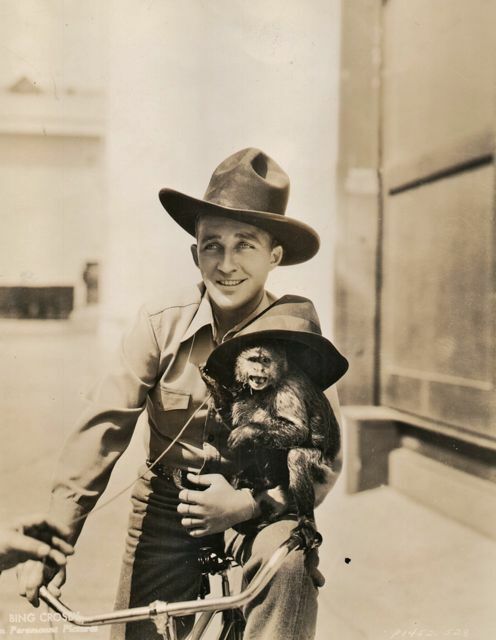 Bing Crosby gives veteran monkey movie star Josephine a ride around the Paramount Pictures lot. Bing was shooting the 1936 cowboy musical Rhythm on the Range. Josephine, with an ill-fitting Stetson, was telling the crooning sensation about her work with William Boyd, Charlie Chaplin, Buster Keaton and other big names of the cinema.